Conveniently design and print personalized labels using P-touch CUBE and free P-touch Design&Print app (when connected to a wireless network). P-touch Design&Print app works with Apple and Android Devices. Utilizes smartphone features such as voice-to-text and spell check. Free app for use with the P-touch CUBE. Easy to Download, Easy to Use. 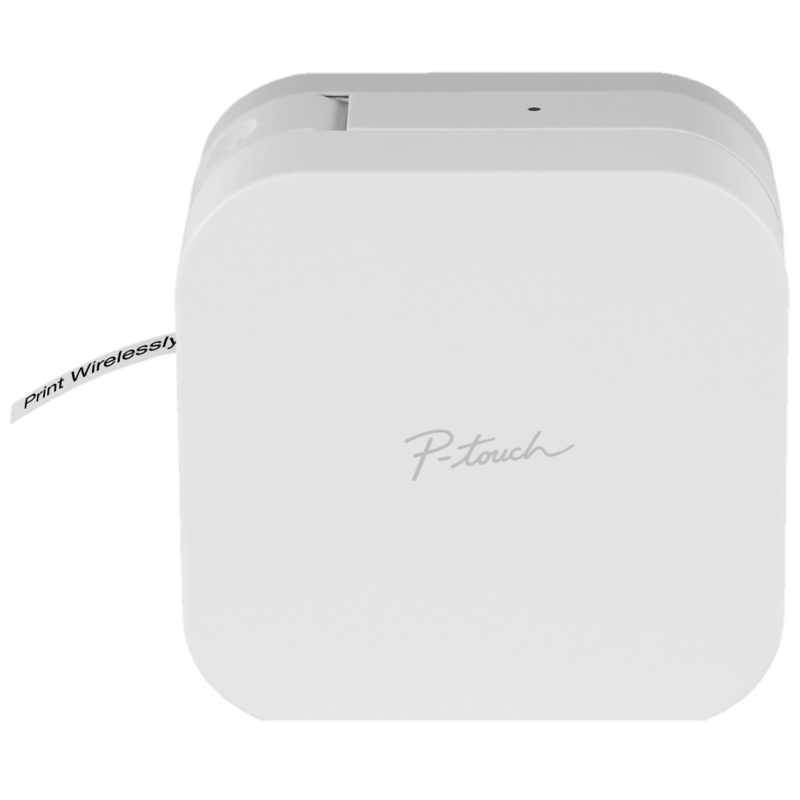 Use the P-touch CUBE with the P-touch Design&Print app to organize and personalize everything in your home/home office. From labeling storage bins to school supplies, simply grab your phone and get things squared away, your way, with the P-touch CUBE. Easy to get started: download the free P-touch Design&Print app to your Apple or Android device. Easy to use: Choose from a wide selection of home & home office label templates - or easily design & save your own labels using 450 symbols, 60+ frames and a variety of fonts including most Google and Apple font libraries. Works with Brother P-touch TZe durable, laminated tapes up to 12mm (½") wide in a variety of colors and types. Mobile Device Compatibility ‡ Brother P-touch Design&Print is a free app that is only compatible with the P-touch CUBE for printing labels wirelessly from your Apple® or Android™ mobile device. Download from the App Store or Google Play. Apple is a registered trademark of Apple Inc. in the U.S. and other countries. Android is a trademark of Google Inc. Use of this trademark is subject to Google Permissions. Mobile Device Printing App ‡ Requires connection to a wireless network via Bluetooth® wireless technology. The Bluetooth® word mark and logos are registered trademarks owned by the Bluetooth SIG, Inc. and any use of such marks by Brother is under license. Other trademarks and trade names are those of their respective owners. Tape Length ‡ Unless otherwise noted. Tape Sizes ‡ Tape widths listed in inches are approximate. Actual tape widths are listed in millimeters (mm). Tape Types ‡ ‡ Claims that adhesive is "acid-free", "photo safe" and/or "safe for use" are based upon (i) Satisfactory test results obtained from Photographic Activity Tests per ISO 14523 and non-acidic pH Tests per TAPPI 509; (ii) Certifications from material manufacturers; and (iii) Atomic scans of adhesive following removal of backing paper. Data from independent tests performed at the Image Permanence Institute at Rochester Institute of Technology. P-touch CUBE uses Brother P-touch TZe durable, laminated tapes up to 12mm (~ ½’’) wide in a variety of colors and types. Got a question about P-touch Cube? *Brother P-touch Design&Print is a free app that is only compatible with the P-touch CUBE for printing labels wirelessly from your Apple® or Android™ mobile device. Download from the App Store or Google Play. Google Play and the Google Play logo are trademarks of Google Inc. Apple and the Apple logo are trademarks of Apple Inc., registered in the U.S. and other countries. App Store is a service mark of Apple Inc., registered in the U.S. and other countries. Android is a trademark of Google Inc. Use of this trademark is subject to Google Permissions.